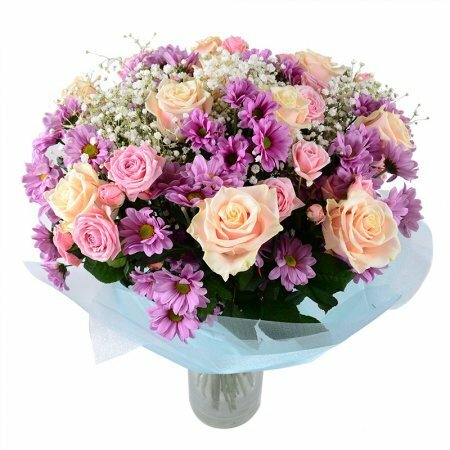 Birthday, Classic bouquets, Colleague, For grandmother, For her, For mother, For young lady, Girlfriend, Gratitude, Аnniversary. 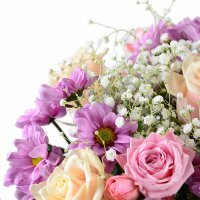 Bouquet «Tender dessert» is a truly delicate combination of roses and chrysanthemums. The bunch of flowers is truly amazing and particularly soft. 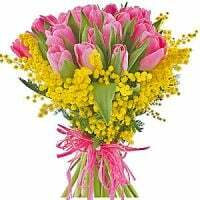 It’s an outstanding Birthday present, which is also lovely for March 8th and Mother’s Day congratulations. 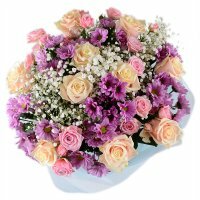 You really want to amaze your mother or granny with an original bouquet? Pick that one! This mix of fragment flowers is such unusual and particular as the woman is. Flatter your dear and near ones with love and care they do deserve! Attention! Bouquet may different from the images displayed on our site. The value of the vase is not included in the price on the bouquet. Fast,efficient service and the picture was great!! Cannot fault these people. Always brilliant service. Manager response: Paul, thank you for your 11 orders on our company! Thanks!!! Really great, on time and the flowers was amazing (she said). She is really happy!!! Thanks and greetings from Mexico City!! I love this company. I live in the USA. 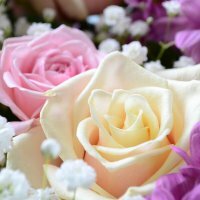 I sent flowers to my wife and her grandmother. This company is very professional and attentive. The best floral shop in Kiev! Manager response: Dear Alex, we wish all the best to your family and you, hope to receive your new order soon! Thank you for your feedback! Thank you for your services. I would like to rate you 5. Please send me photos of flower delivery. Manager response: Thank you for your feedback, Ruchik. We will send you a photo to e-mail.